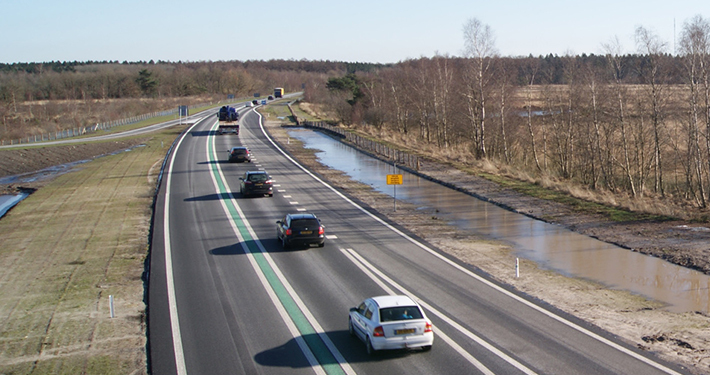 Making the N381 safer – Track Line B.V.
On dull and monotonous roads with views that hardly change for long stretches on end, there is a real danger of the motorist’s mind wandering. The result could be a vehicle veering off course and ending up in a ditch, or worse. 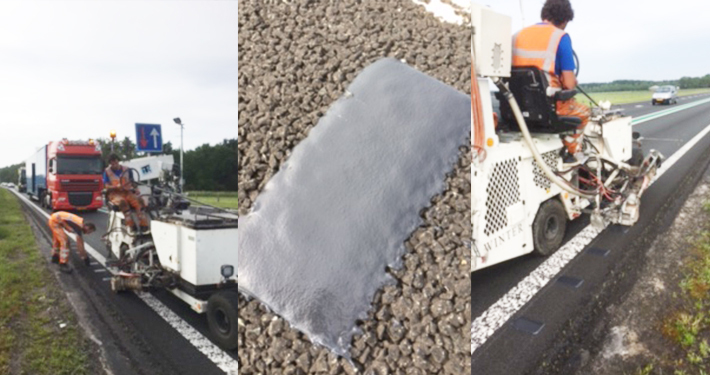 The Province of Friesland commissioned us to improve the N381 by applying a special marking of coldplast patches along the verge of the slow lane, at right angles to the edge marking. This relief marking acts as an awareness measure to prevent motorists from straying off the road as a result of driver fatigue, mobile phone use or other distractions inside or outside the vehicle. If a vehicle moves too close to the roadside, the sound of the tyres running over the marking will alert the driver to the impending danger.